WASHINGTON -- Volkswagen’s U.S. dealers are seeking reparations from the automaker for financial damages caused by the company's emissions violations. Three of VW’s U.S. dealers proposed the reparations during a meeting with senior VW executives in Germany last week about the company’s U.S. strategy. Alan Brown, chairman of VW’s U.S. dealer council, attended the meeting and told Automotive News that it was too early to discuss the size of any settlement so soon after pitching the proposal. VW executives at the meeting, including VW’s global brand chief, Herbert Diess, and Hinrich Woebcken, the VW brand’s new North America chief, did not commit to any reparations, Brown said. 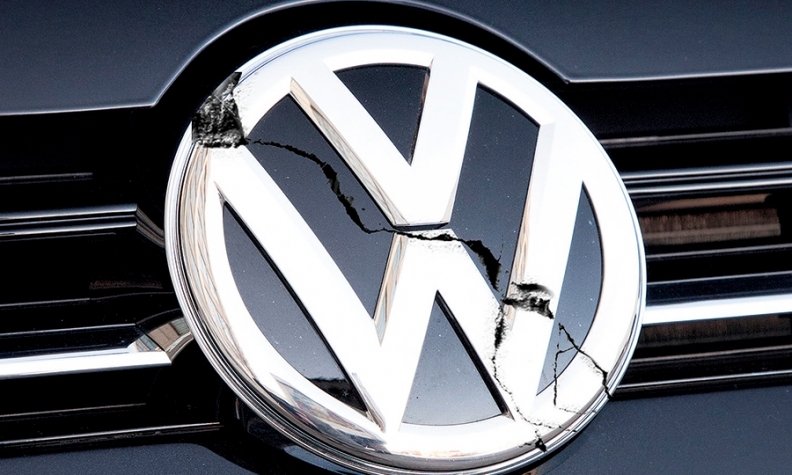 The prospect of reparations will be among the pressing topics to be addressed by VW executives during the brand’s April 2 make meeting at the National Automobile Dealers Association convention in Las Vegas. Diess and Woebcken plan to attend the make meeting, Brown said. A VW AG spokesman declined to comment on the content of last week’s meeting between U.S. dealers and VW executives, but said the brand wanted to grow in the U.S. market. VW has about 650 dealers in the U.S. and many have seen their franchise values come under pressure amid falling sales, a freeze on new diesel deliveries that previously accounted for about 20 percent of volume, and other complications. Some have fared even worse. Brown said a Chicago-area VW dealer saw a buy-sell transaction worth more than $6 million collapse when the would-be purchaser terminated the deal shortly after the EPA disclosed VW's violations on Sept. 18. To limit the scandal’s financial impact on dealers, VW of America has wired dealers “discretionary” payments totaling tens of thousands of dollars per month for the last six months, in addition to other financial programs. The reparations program could be patterned on the discretionary payments, Brown says. “If an average dealer is getting $20,000 a month in discretionary money, that’s $240,000 per year. If they deem this to be a four-year process, that’s going to be just south of $1 million for that particular dealer,” Brown said. During the meeting last week, Diess and other VW executives indicated that VW will stick to a mass-market strategy, prioritizing compact and midsize sedans and crossovers as the core of VW’s U.S. sales volume, Brown said in a weekend letter to dealers. Brown and other dealers were incensed when VW executives in January suggested that the company may adopt a “near-premium” brand strategy in the U.S., prioritizing lower sales volumes and higher per-vehicle profits. The VW executives did not commit to a U.S. sales goal this year, Brown said. According to Brown’s letter summarizing the meeting, company executives agreed that VW’s U.S. lineup needs a new entry-level crossover to slot below the redesigned long-wheelbase Tiguan compact CUV launching here next year. VW’s dealers have wanted a production version of the T-Roc, the Golf-based crossover concept shown at the 2014 Geneva auto show to compete with entries such as the Honda HR-V and Mazda CX-3. However, the executives proposed that a short-wheelbase Tiguan priced below the redesigned wheelbase Tiguan arriving here next year may be a better fit. VW executives also expressed a willingness to bring a coupe-styled variant of the coming midsize crossover sometime after the seven-passenger model goes on sale in the first quarter of 2017. Nearer term, Brown says U.S. dealers will receive more than 8,000 units of the Golf SportWagen Alltrack this year after its launch this fall. VW originally planned to supply 30,000 in 2017, but Brown and the other dealers asked VW to increase Alltrack allocations to 25,000 vehicles this year and 75,000 next year, according to Brown’s letter. Final volumes are still being worked out, but Brown said dealers will “definitely” see more than 8,000. Brown said he hopes Diess and Woebcken will provide additional clarity about these and other issues at the NADA make meeting.